The skyline north of Market Street has shown little new construction. 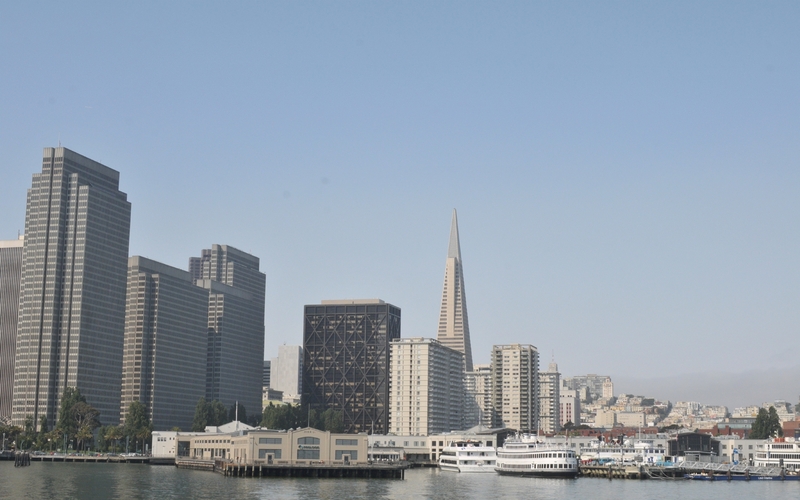 The Transamerica Pyramid still dominates the skyline. 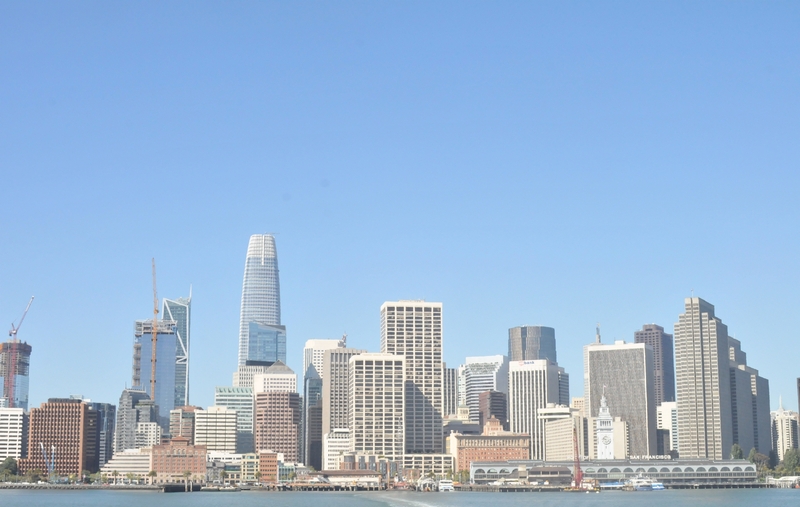 A view of the new skyline as seen from the back of the Oakland Ferry. The tallest building has become one of the new SOMA office towers.